Genetically modified foods, often called GM foods, are those foods that have been altered at the genetic level in order to produce a form that has some new function or trait that food producers find desirable. There are at least two categories of genetically modified foods. -Selective breeding occurs when genes from two varieties of the same species are combined to produce a third variety with the favored characteristics. This practice has been carried on for thousands of years to produce new versions of crops with higher yields and hardier plants, and livestock that provides more meat. -Genetic Engineering is a newer way to modify foods and involves the transfer of a single gene between two varieties of the same species or between two different species to produce a plant or animal that has characteristics that are more desirable to food producers. These transferred genes may come from plants, animals—including humans—bacteria, insects, or even viruses. Another form of genetic engineering is cloning, where an animal is created through laboratory methods rather than by breeding two animals. At this time, in the U.S., cloned animals are not allowed to be marketed as food, but their offspring may be sent to market with no distinction from their conventionally produced cousins. The FDA does not consider meat from animal produced by cloning to be any different from naturally produced meat. 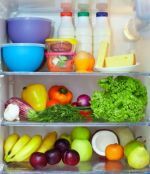 Is it a good idea to eat genetically modified foods? 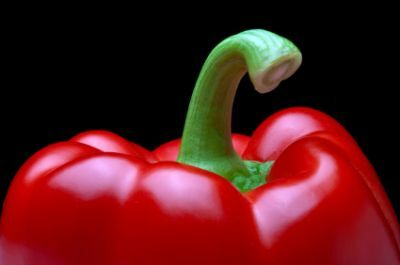 Although selective breeding has been going on for many years, the introduction of genetically engineered foods and cloning has added a whole new dimension to the issue of genetically modified foods. It is one thing to transfer genes within a species, but the genetic transfer between species has given rise to a heated controversy that ranges from the ethical considerations, to environmental concerns to its long-term impact on health. Click here for more information on the Food Supply and the pros and cons of GM foods. -Buy organic. Foods that are labeled as 100% organic may not be produced using genetically modified organisms. Don’t be fooled by products made with some organic ingredients, since they could also have some genetically modified ingredients. -Buy locally from sources you know. The farmers’ market is a great place to buy foods that have been grown locally. Talk to the vendors about their growing practices. Sign up for a CSA (Community Supported Agriculture) with a local farm, where you can share in the crops, which are often produced organically with non-GMO seed. -Grow your own food. Even a container garden on your patio will decrease the amount of GM food that you are consuming. 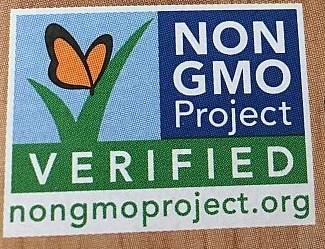 -Buy foods from companies that label their products as Non-GMO. Labelling is voluntary so companies who are willing to put the GMO free label on their products are a good bet. The health foods section of your local grocery store will generally have brands such as Amy’s, Organic Valley, Stonyfield Farm, Eden, Bob’s Red Mill, Health Valley Organic, Cascadian Farms, Hain, Muir Glen Organic. However, even with these brands, always check labels to be sure the product is GMO free. -Limit consumption of corn products, since it is the most ubiquitous GM ingredient in foods. Products, besides corn itself, that are made from corn include, corn syrup and other corn sweeteners such as fructose and cornstarch—often listed as “starch” or modified food starch on food labels. -Other foods that are usually GM that you can limit or avoid are non-organic soy products, canola oil, cottonseed oil--also known as rapeseed oil, and sugar made from sugar beets. Most foods that have been genetically modified, either by selective breeding, genetic engineering or cloning, are not differentiated in the U.S. food supply, since the FDA does not consider them to be different from their original source. On the other hand, if a food has been substantially changed, such as in nutrient content or by the addition of a potential allergen, then the FDA requires that it be labeled accordingly. Click here to go from Genetically Modified Foods page to Organic Foods page.